leveling screws, like on the Orion XT Intelliscope and some other XT Dobs. production rings are black anodized. Click on images to enlarge. Bottom view of your base with the new Crayford focuser. The leveling hardware is stainless steel. 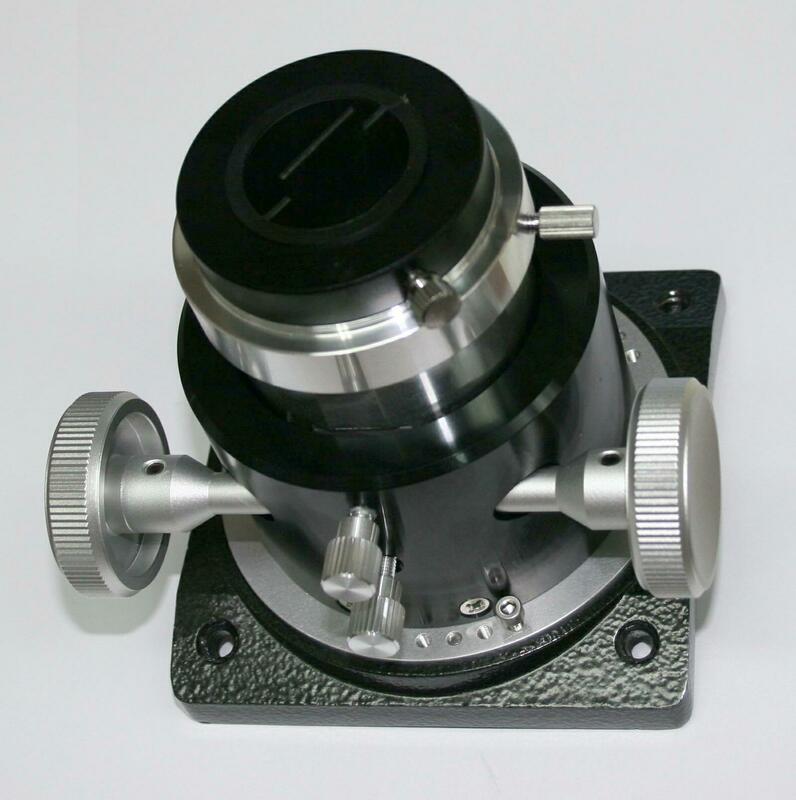 new focuser. 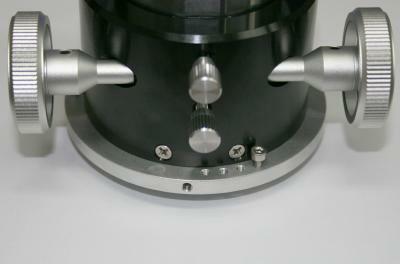 A Cheshire and/or laser collimator are required for alignment. 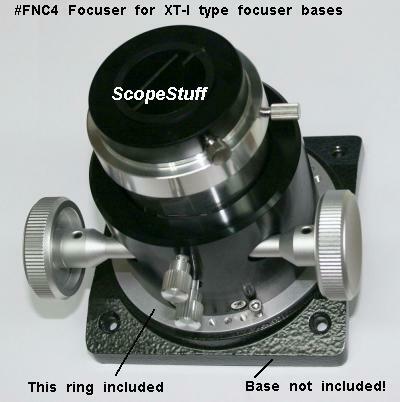 on the base of the focuser and a notch in the base! 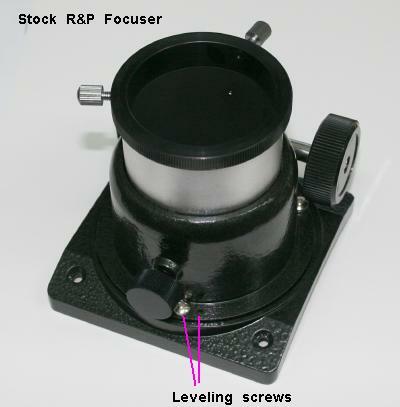 - - - the focuser or focuser base. 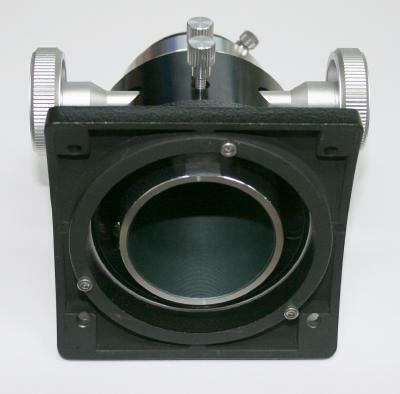 Black anodized aluminum, SS hardware.